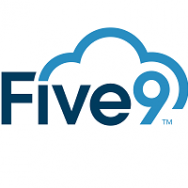 Five9 is the largest pure cloud contact center software provider with more than 2,000 customers and facilitating more than 3 billion calls per year. The Five9 VirtualContact Center and Predictive Dialer are revolutionizing the contact center industry, bringing the power of the cloud to customer service and sales organizations around the globe. The company gives enterprises of all sizes access to sophisticated and innovative contact center solutions quickly, at a cost of ownership far lower than traditional premise-based solutions. For more information on Five9, please visit www.five9.com or call 1-800-553-8159.